Why should you go to the Grévin Museum? Founded in 1882 and named after the caricaturist Alfred Grévin, Musée Grévin is one of the oldest wax museums in Europe. 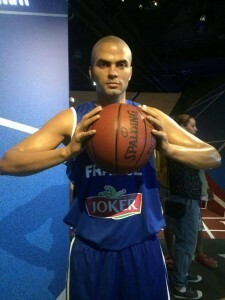 Today, Musée Grévin has over 450 wax figures on display with new personalities added each year. Musée Grévin is the perfect place to go if you’re looking for a break from the more serious cultural tourist activities in Paris. The tour of the museum starts with a winding Hall of Mirrors and then opens up into a light and sound show. After, make your way through Musée Grévin to see the wide range of wax figures with the perfect mix of historical French figures and figures of modern, international stars. 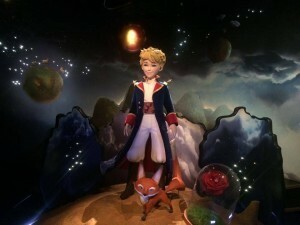 Some famous personalities located here are Leonardo DaVinci, Joan of Arc, Jean de la Fontaine, Auguste Rodin, Michael Jackson, Brad Pitt, Ray Charles, and le Petit Prince. Feel free to interact with Musée Grévin and pose with every figure. 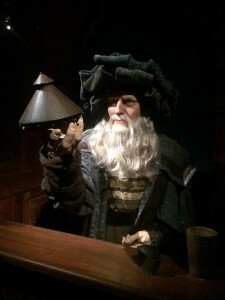 This museum is also kid friendly and offers story-tours and guided tours by an actor in a costume about the history, celebrities, and secrets of Musée Grévin. Musée Grévin is located at 10 boulevard Montmartre, Paris, France 75009 near metro stops Bourse and Grands Boulevards, and Buses 20, 39, 48, 67, 74, and 85. Tickets can be bought in advance so you don’t have to wait in line to purchase tickets. If you’re looking for more pictures of the museum, click here. ParisByM can help you plan your trip and save on your hotel in Paris: we can book your tickets for the monument visits, spare you time waiting in line, help you find a hotel in your budget, and provide you a full itinerary of what to do in Paris for the length of your stay. Have you decided to go all out for your next Parisian vacation? A place known for its luxurious offers, Paris is full of top-end activities that will leave you in the lap of luxury! Here’s how to enjoy a luxury holiday in Paris! While not the actual homes of French kings, palaces will definitely make you feel like royalty. Offering the highest-caliber accommodations in Paris, these stunning hotels provide exceptional service and a variety of luxurious options. They feature all the amenities of a 5-star hotel (rooms at least 15 x 17 feet / 24 square meters, an en-suite bathroom, English-speaking employees, 24/7 reception, valet parking, concierge services, and air conditioning). Additionally, they must include certain elements that distinguish them from the rest including an on-site gastronomic restaurant (often Michelin-starred), exceptional customer service, and, in certain cases, a spa. With prices starting at 1,000€ / night, staying here doesn’t come cheap. However, you get what you pay for, and, in this case, it will definitely be well worth the price. For the perfect Parisian holiday, book a stay at one of the classic palaces, such as Le Brisol, Le Meurice, the Four Seasons Hotel George V, the Plaza Athénée, or try one of the newer one palaces, such as the Shangri-La Paris or the Mandarin Oriental. 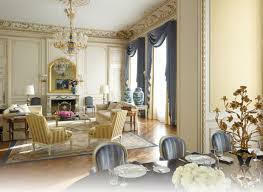 For more information on hotel categories in Paris, click here. In addition to staying in a palace, you can add to your luxury vacation by booking exclusive or original activities. Make sightseeing even more memorable with a private tour with a guide who will help you fully understand the significance of each site. Private tours are recommended for the most popular tourist attractions, such as the Eiffel Tour, the Louvre, or the Musée d’Orsay, as there are often extremely long lines for these activities. 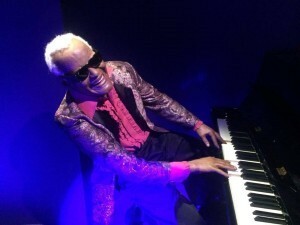 For a more unique experience, you can book an original tour. Take a ride in an old Parisian car as your private guides you through Paris’s old streets and main spots, or enjoy a shopping spree along the Montaigne or Place Vendome with a personal shopper. When treating yourself to a luxury vacation, a trip to the spa is a must. 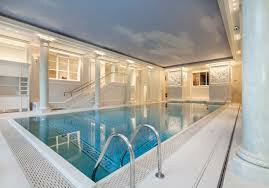 Paris is home to a number of top-notch spas where you can receive a massage, facial and skin treatments, aromatherapy, access to a fitness center and on-hand personal trainer, and pool and sauna access. Paris spas tend to focus on a theme and many are housed in palaces, allowing easy access without having to leave your hotel. Traveler favorites include the George V Spa (Four Seasons George V), Institut Dior (Plaza Athénée), Spa Anne Sémonin (Le Bristol), and Spa Valmont (Le Meurice). As the capital of cuisine, Paris is home to some of the finest restaurants in the world, including several Michelin-star eateries. No luxury Parisian holiday is complete without enjoying a meal at one of these establishments. Every year, the legendary French company Michelin publishes a restaurant guide awarding stars to those deemed the best from 1 star (a great establishment) to 3 stars (la crème de la crème). While the guide lists restaurants from several countries, France is home to the largest number of Michelin-star restaurants in the world, many of which are in Paris. For your luxury vacation, dine at some of the finest establishments, such as Tour d’Argent, Jules Vernes (located in the Eiffel Tower), Guy Savoy, or L’Atelier de Joël Robuchon.